The MRC® Pro Series™ is the perfect union of acrylic engineering perfection and flow technology. The #1 choice of professionals and enthusiasts: the decision doesn’t get any simpler than this. From 300 gallons to 4,000 gallons, the Pro Series are unmatched in the industry. If you have an affinity for professional quality products with exceptional performance, then the new MRC Pro series is for you. MRC Pro Series was engineered and designed from the ground up; it isn’t simply a skimmer body with a new pump attached to it. This results in the absolute best performance and efficieny possible. 2 years of R&D was invested, merging science and engineering, to bring the most advanced skimmer technology to market: The MRC Pro Series. The main theory behind creating a successful protein skimmer is maximizing the exposure of air to water. The most effective way to accomplish this is having a mssive quantity of the smallest bubbles exposed to water in the perfect ration. Organics have a very specific structure which makes them polar (meaning one end is very different from the other). As it turns out, one end is also very “hydrophobic,” meaning it is repelled by water, and attracted to air. Using this biochemical feature, we can infuse water with air and attract these objects. Using the same principle as lathery soap, the bubbles will attract undesirable organics, rise to the collection cup, removing them from the aquarium. 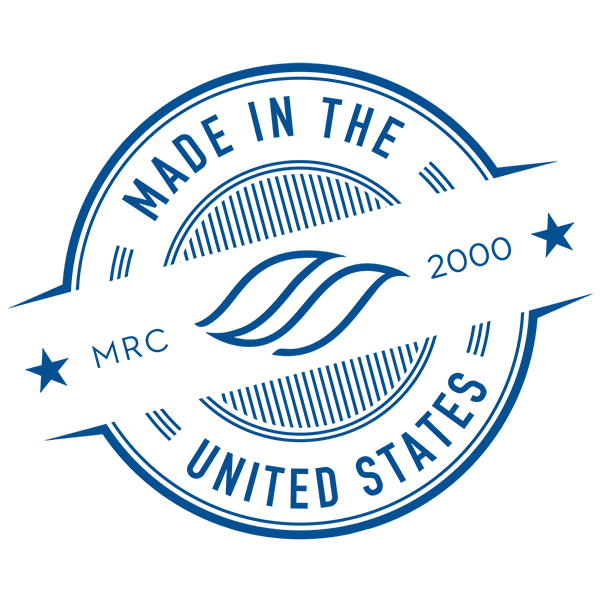 The MRC Pro Series of professional grade protein skimmers features the heavy duty construction you’ve come to expect from MRC: 100% cast acrylic, Spears plumbing, 100% American made. The Pro Series is powered by a new and improved needle-wheel and the exclusive MRC air aspirator, providing the performance and quality one would expect from the industry leader. 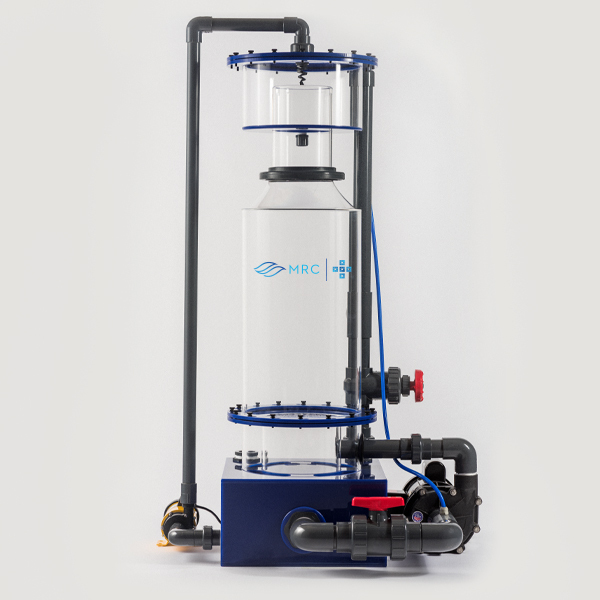 The MRC Orca Pro I is the first model in the Pro Series line of protein skimmers. But don’t let that fool you, this is no small toy skimmer. It’s powered by Needle-wheel technology and exclusive MRC air aspirator. It features a large 10″ reaction chamber body for maximum reaction time. The MRC Pro Series sets a new standard for quality and performance. 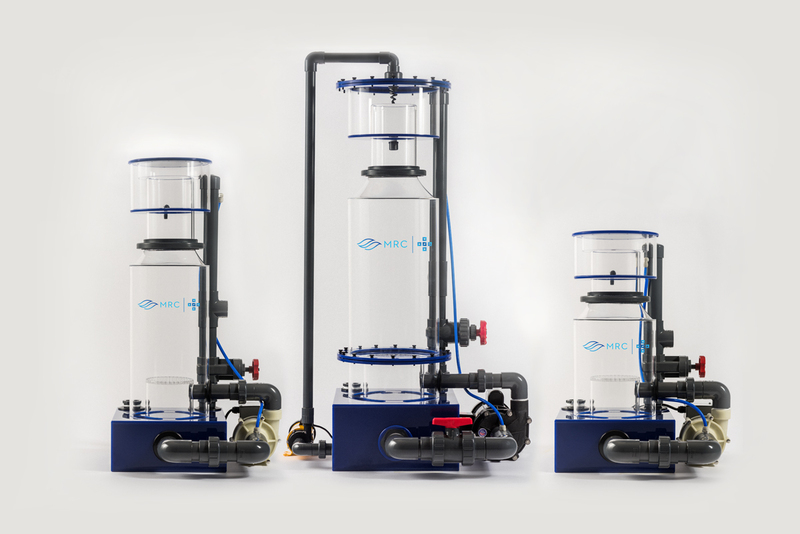 The MRC Orca Pro II is the second model in the Pro Series line of protein skimmers. The Pro II boasts an extra large bubble plate and a long neck for maximum skimming. It’s powered by Needle-wheel technology and exclusive MRC air aspirator. It features a large 10″ reaction chamber body for maxium reaction time. The base is constructed out of 3/8″ cast acrylic; all tube is 1/4″ cast acrylic. All plumbing parts are heavy duty Spears plumbing. 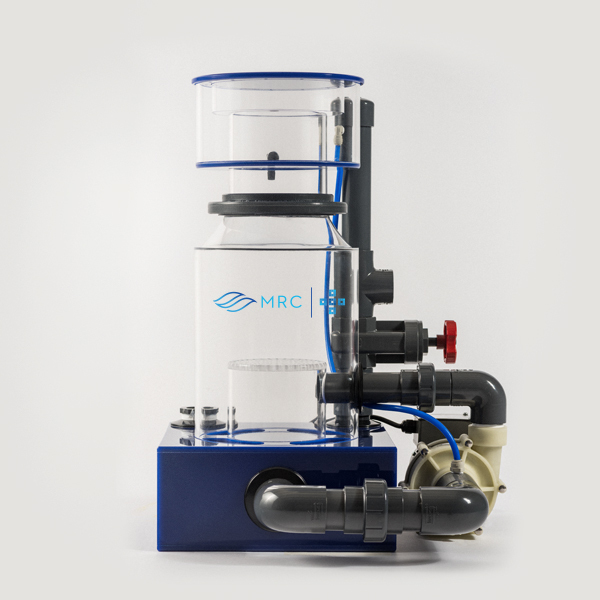 The MRC Orca Pro III is the flagship model in the MRC Pro Series line of protein skimmers. It is everything you’d expect from a top-of-the-line skimmer. It’s powered by a custom 1/3 HP American made pump with our high-power Needle-wheel technology and the exclusive MRC air aspirator. It features a massive 12″ reaction chamber body for unparalleled reaction time & performance. The base is constructed out of 3/8″ cast acrylic; all tube is 1/4″ cast acrylic. All plumbing parts are heavy duty Spears plumbing. The Pro III is the public aquarium sweetheart, allowing them to remove larger, less efficient, and less effective skimmers. The Pro III is a fish and SPS lover’s dream come true. If you love a heavy bio load or need pristine waters for your SPS, this skimmer is for you. 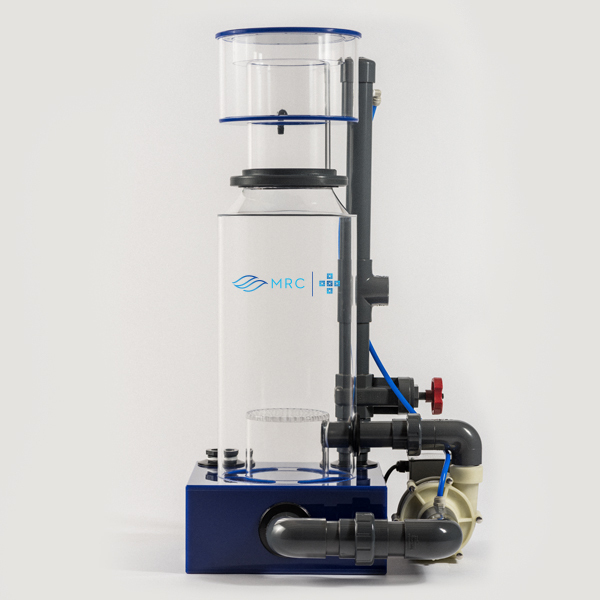 The MRC Orca Pro IV is largest model in the MRC Pro Series line of protein skimmers. It is everything you’d expect from a top-of-the-line skimmer. It’s powered by a custom American made pump with our high-power Needle-wheel technology and the exclusive MRC air aspirator. It features a massive 14″ reaction chamber body for unparalleled reaction time & performance. The base is constructed out of 3/8″ cast acrylic; all tube is 1/4″ cast acrylic. All plumbing parts are heavy duty Spears plumbing. For systems over 2,000 gallons, the Pro IV just can’t be beat. Heavy bio-loads are no match for the Pro IV. Purchase your Pro Skimmer from an authorized MRC® retailer today.